Yesterday we woke to sun and no wind; exactly what we hoped for. This time we packed huge amounts of clothes and gloves in preparation for the worst. We walked up to the col leading to North side together, before leaving Mark to explore alone. Jean and I set off up Tower A from the North aspect via the easiest looking line, with an attempt at the Spectre traverse in mind. After four long, committing rappels down a shockingly steep face, we reached the foot of tower A. The approach to tower B looked far more involved than expected. We checked the time- 10.30pm. We had already been climbing for almost 12 hours. The complete traverse would certainly become a 30+ hour ordeal. Just getting to the start of the climbing on Tower B would take at least two hours up steep blue with just four ice screws. Taking into account that everything thus far has been far harder, longer, steeper and slower than anticipated, although the weather was as good as we have experienced so far, with our long journey out commencing in just a couple days, the only wise choice was turn back to camp and in the direction of home. Glad you grabbed another route, well done. Now looking forward to reading about your return journey. Hope the weather gods are kind. Vous êtes au top. Gardez-en sous le coude pour le retour. Congratulations guys! Another time, we’re so happy for you! 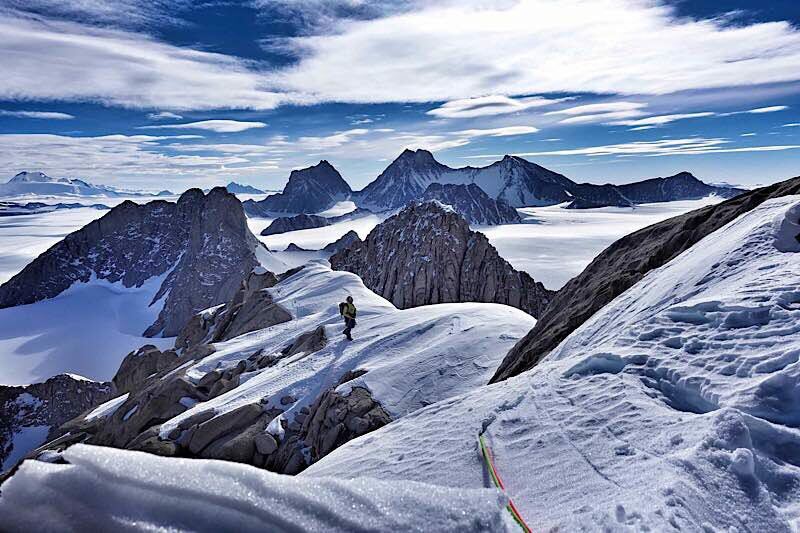 Sun, warm temperature, no wind, Antarctic offered you a wonderful day for your last climb there, thanks for that! Hope there are other gifts for your coming back! Big hugs! truly remarkable work on all parts and huge congratulations on a job well done! safe travels home and enjoy the ride! vous pouvez repartir plein les yeux, plein le coeur ! After Mr. Trump finishes a second mandate, all that ice will have melted and you will be able to have a coffee and some yopo at the top of Spectre. Another mission ticked on the list!. Now get your asses back. Great decision making after a full and fabulous day. All credit to you. 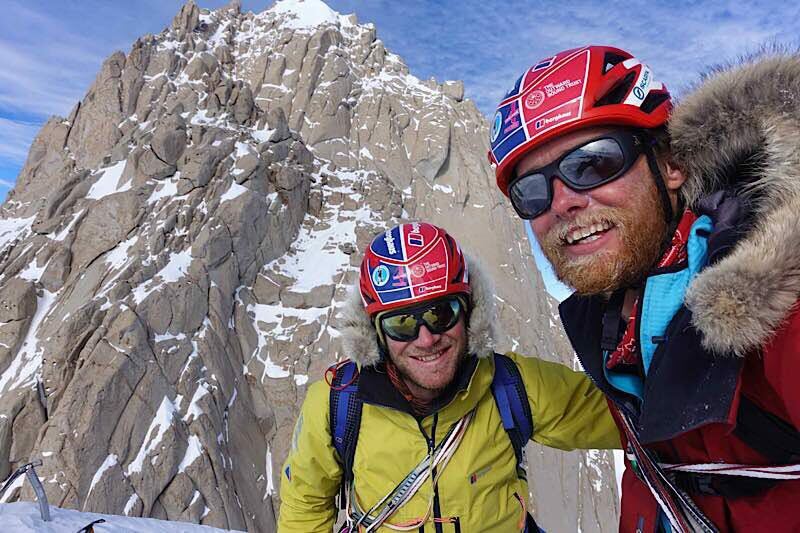 The average person couldn’t survive out there for 5 minutes and you lads are out there climbing gnarly peaks! Bravo.